This lecture, the second in the ELS Northern Province Lecture series 2018, is hosted by Wrigleys Solicitors LLP. 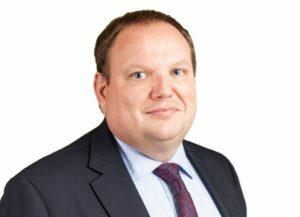 Professor Mark Hill QC is Chairman of the Ecclesiastical Law Society and Chancellor of the Diocese of Leeds. The lecture will focus on the practice and procedure of the consistory court with regard to the faculty jurisdiction and will be of particular interest to parochial clergy and churchwardens in the diocese. The lecture is designed as a simple introduction to the Ecclesiastical Jurisdiction and Care of Churches Measure 2018 which is expected to receive parliamentary approval and the royal assent this summer and be brought into force promptly by the Archbishops of Canterbury and York thereafter. The new Measure codifies and simplifies the process and procedure of the faculty jurisdiction. The lecture will explore how the faculty system works, de-mystify some of its perceived complexities, and provide guidance for those who are likely to make use of it in the years ahead. 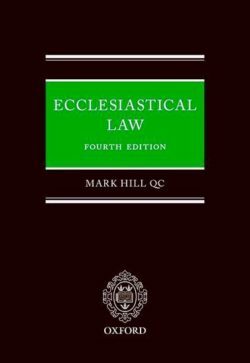 The fourth edition of Mark's standard text book, Ecclesiastical Law, was published by Oxford University Press in March 2018. This lecture is open to members and non-members. Refreshments are served from 5.00pm and the lecture will begin at 5:30pm.